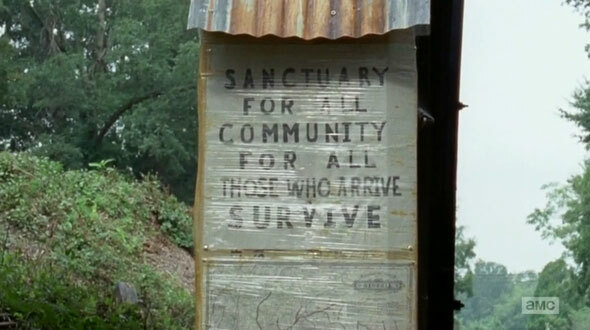 Surviving THE WALKING DEAD’s Terminus! On Tuesday March 31st we decided to take a side trip from our hotel in Chattanooga to Atlanta and see their zoo & pandas. It made sense since we had our hotel for three nights and Atlanta was only about 90 minutes south. It was a decision we would not regret. 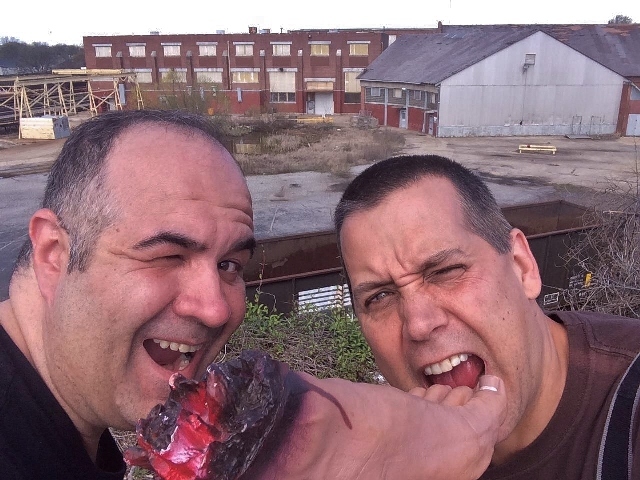 Just six minutes from the zoo was a location setting used in the AMC show, The Walking Dead, “Terminus.” And, just like those zombie apocalypse-worn characters, we were determined to find it! 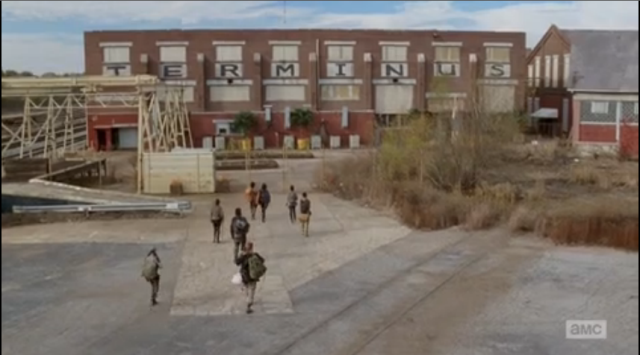 For those few horror fans out there who don’t watch the show, Terminus was featured towards the end of season four/beginning of five; initially a sort of Promised Land for the weary survivors who followed the signs (and train tracks) in the hopes it would lead them to respite from their daily agony. They’d eventually find their intended destination though it would prove anything but paradise as our heroes found themselves in the clutches of a group of cannibals. This proved, once again, that even in a zombie apocalypse it’s always the living that are more lethal than the dead. Dave A: I have been a fan of The Walking Dead since day one. The zombie genre has always been one of my all-time favorites when it comes to horror movies and this series fit right in, with good writing, acting and special effects. 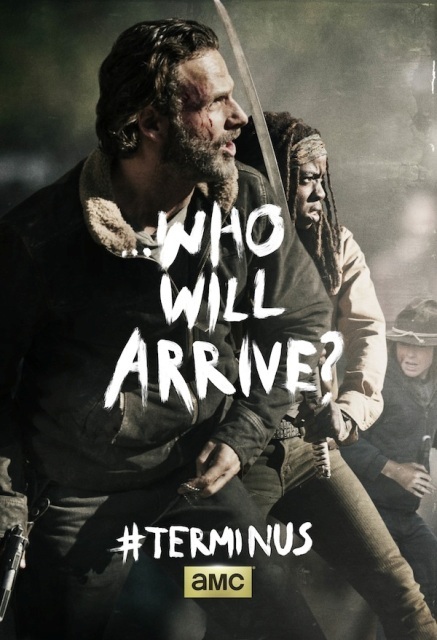 Though I never read any of the comics, the show is something that I look forward to year after year as it features many cliffhanger episodes and the season finales always make you want more. The building itself, after finding it, appears to be in pretty bad shape. My initial thoughts were that it was an abandoned mill of some kind but as we were leaving the area there were cars parked on the property, suggesting that areas were still being used. I was tempted to have us tread down the hill for a closer look but there were still lots to do this day. We drove back up towards Chattanooga and stopped at Rock City where we journeyed to the top of Lookout Mountain; a spot where you could see seven states from one vantage point. Then we dramatically dropped our elevation by going to the nearby Ruby Falls where we took an elevator over a thousand feet down into the mountain to see America’s largest underground waterfall. I guess I should have been exhausted but was having the time of my life! Dave A: Rock City and Ruby Falls was a great part of our trip, though I enjoyed Rock City more. Ruby Falls was great to look at when we finally got down to it but the walk to the falls was tedious to me. Rock City was better because it was a nice combination of being inside caves and outside in the fresh air, and the day was beautiful. To see all of the gnome figures working in the caves was fun because I have always been a fan of the classic book by Wil Huygen and artist Rien Poortvliet, “Gnomes”. This particular trip to me was the best of all of the Terror Dave trips to date as we were combining all of our interests, everything from zoos to horror to nature and it was never overwhelming and always a lot of fun. Even after a zoo, Terminus, Rock City, and Ruby Falls, we still had another activity on the agenda. That night we’d end up in an old Chattanooga cemetery where we’d get our first experience of hunting ghosts! This entry was posted in Terror Daves on the Road! and tagged AMC, Gnomes, Rien Poortvliet, Rock City, Ruby Falls, Terminus, THE WALKING DEAD, Wil Huygen. Bookmark the permalink. ← Visiting the Lab of Dr. Gangrene!